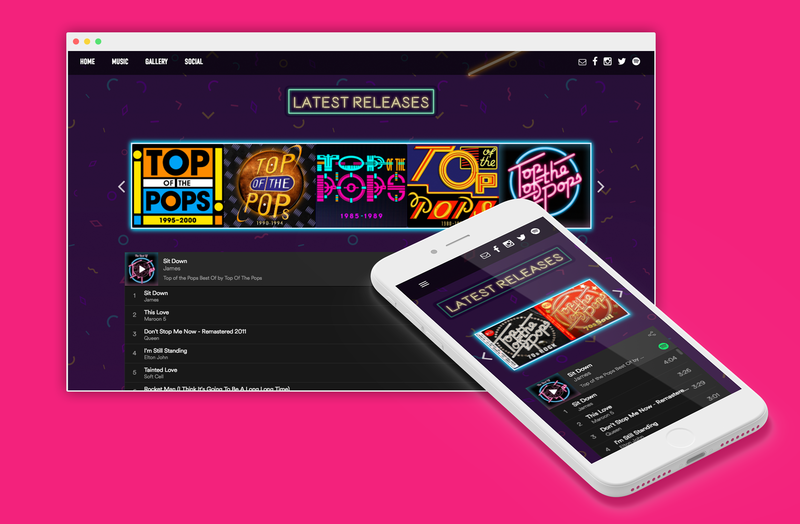 Universal Music approached us to design and build a website to showcase their new collections of music from the iconic BBC programme Top of the Pops. The cd and vinyl sets are categorised either by genre or time periods. The challenge on this brief was to interpret this iconic music show throughout its many years on air. 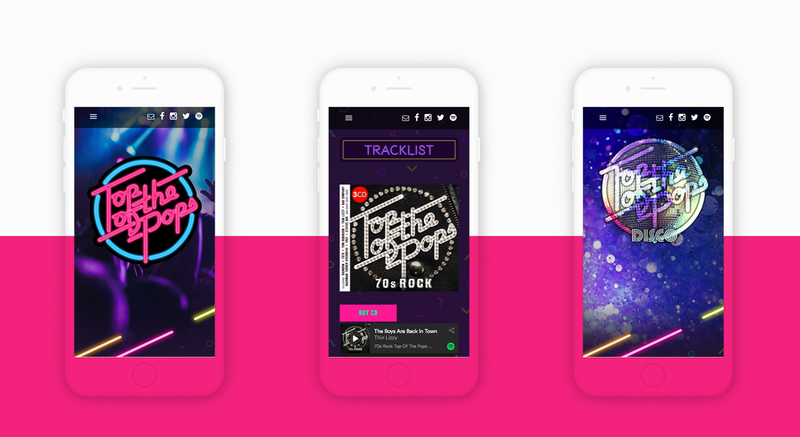 The brand itself is instantly recognisable by generations of music fans with the show itself going through many rebrands over the years, we had to choose the logo that would resonate with the target audience. 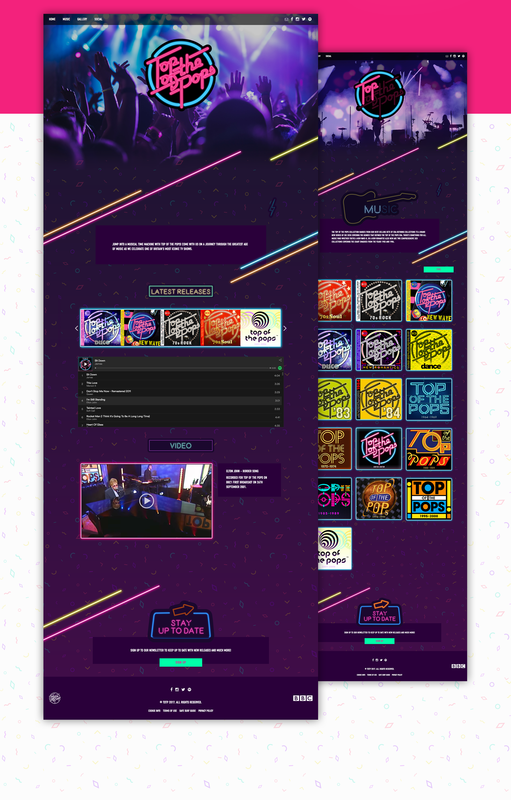 After much deliberating it was decided to use the classic ‘neon’ logo which was animated to flash as a ‘neon’ this treatment was also followed through to the ‘Call to Action’ buttons within the site. 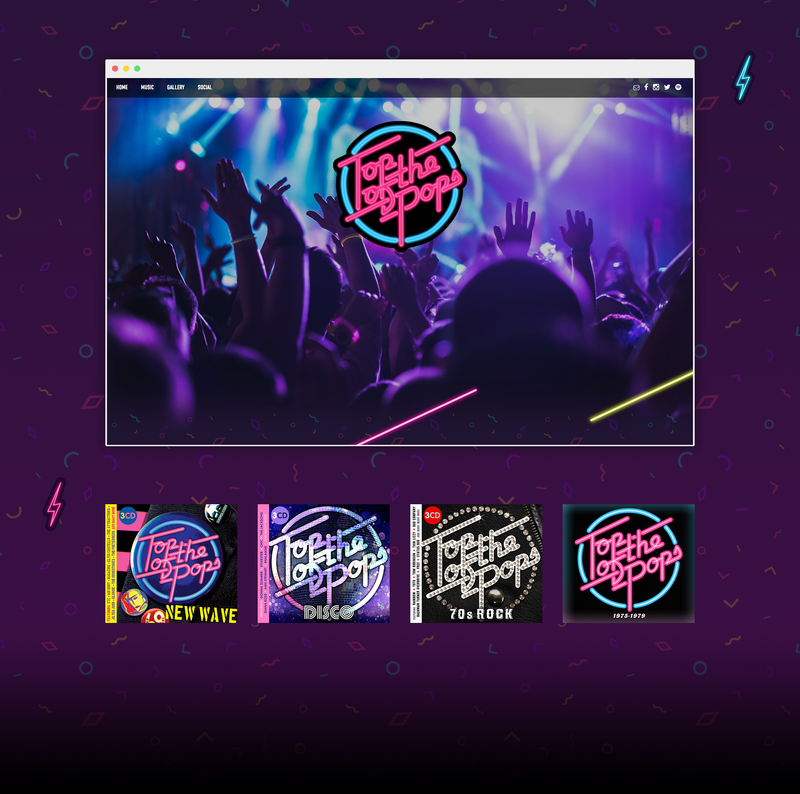 Overall the style lead on the website was the 80s with more ‘neon’ diagonals, a geometric icon shaping background, fonts and a colour palette straight from the era of big music and hair! Social Media is an important part of this site (as it is on most websites!) but particularly so on this with sales of vinyl and cds relying heavily on the nostalgic element of a good social media experience. Reflecting the wider trends in society made the responsive element of the website, if not more important, then certainly as crucial as the desktop version. Current trends suggest that most users social media interaction is fulfilled using mobile devices. With sales really needing the nostalgic link provided by YouTube clips, Spotify playlists or Instagram images of the artists from whatever era the potential customer was sitting on their sofa watching the original programme. Build and design was optimised to give best experience to mobile users.